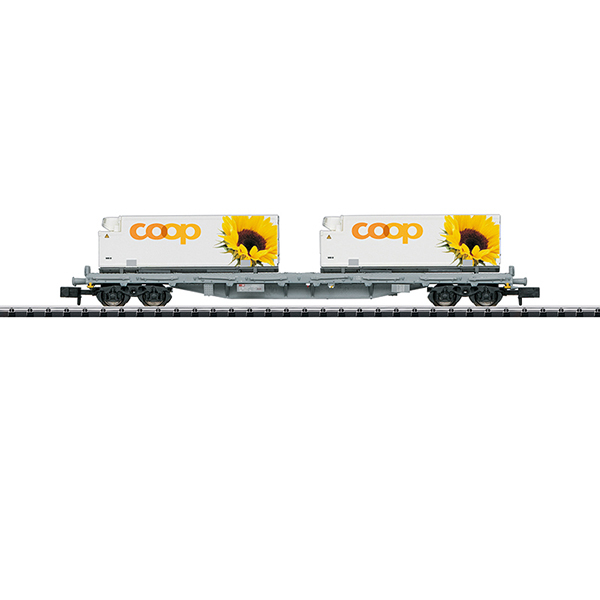 Model: The car has type Y 25 trucks and a close coupler mechanism. It is loaded with 2 refrigerated containers. Length over the buffers 124 mm / 4-7/8".